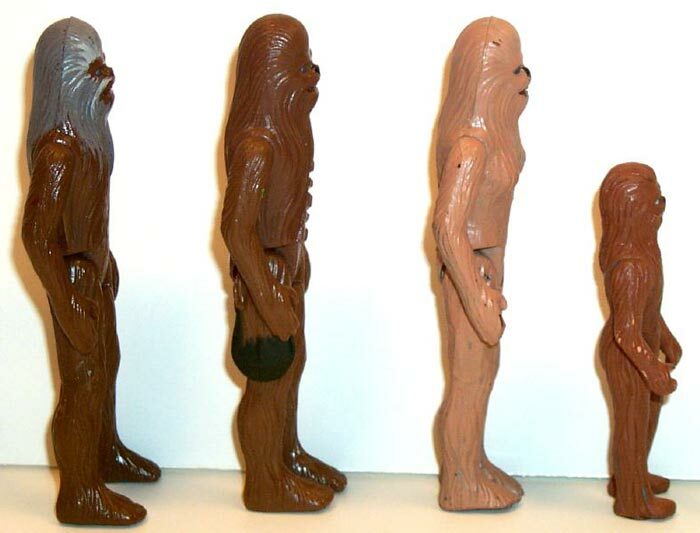 These photos show the only known prototypes of figures from the Star Wars Holiday Special. 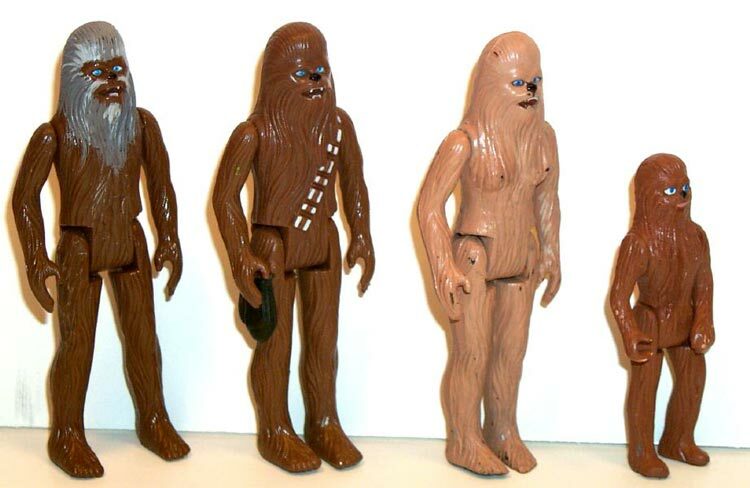 Kenner worked on these figures, along with Boba Fett's Sea Serpent, and then realized that the Holiday Special wasn't likely to be very successful. 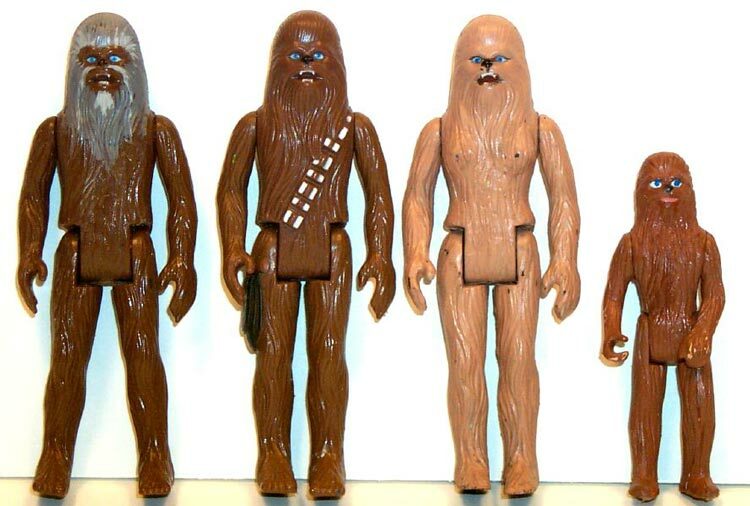 Itchy (which is short for Attichitcuk) is Chewbacca's father; Malla (Mallatobuck) is Chewbacca's wife; and Lumpy (Lumpawarrump) is Chewbacca's son. Itchy and Malla are both modified Chewbacca figures. 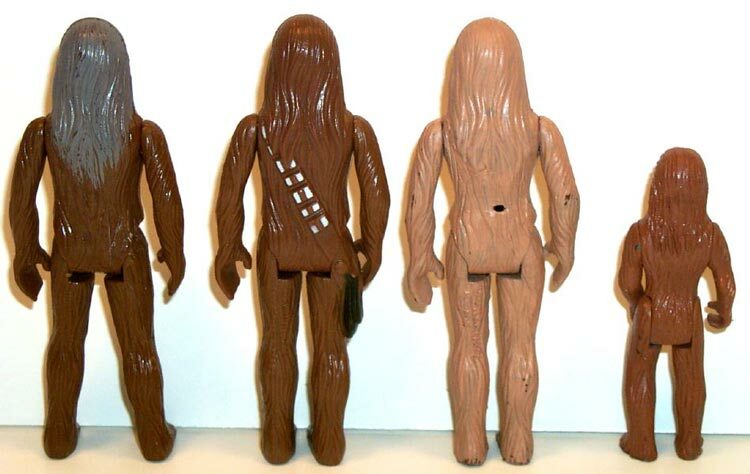 It looks as though, in creating them, someone removed the bandolier strap and bag of the Chewbacca figures, probably using some sort of grinding tool. In the case of Malla, breasts were added with putty and the figure was painted with a light brown paint. Itchy, of course, has some gray paint around his head in order to make him look old. Lumpy is considerably more interesting. He's built on a Fisher-Price Adventure People figure named Johnny, from the "Wild Animal Safari" set. Here are there backs. That hole you see on Malla probably happened while the bandolier details were being removed. These are the only known mock-ups of these characters. For further information regarding them, see the December/January 1995 issue of Tomart's Action Figure Digest.